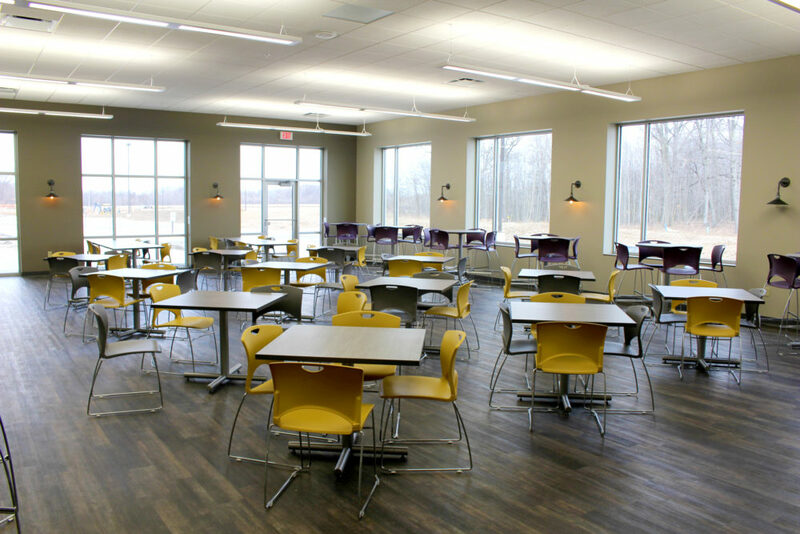 Creative Business Interiors had the pleasure of working with Stella & Chewy’s, a pet food producer, to provide furniture for their new 164,000 SF facility in the Oakview Business Park in Oak Creek, WI. 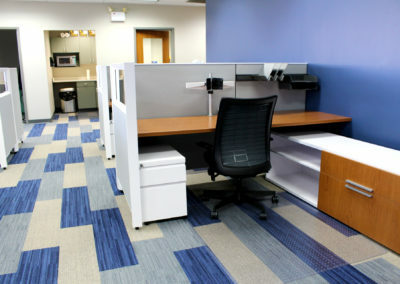 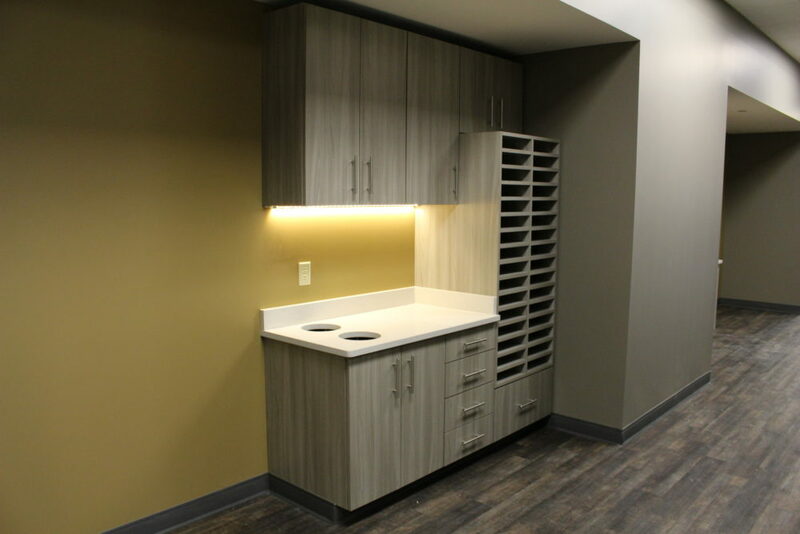 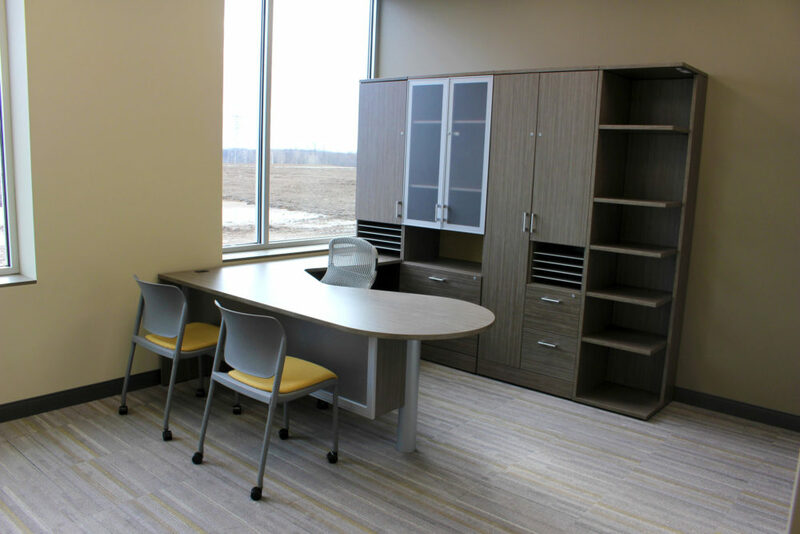 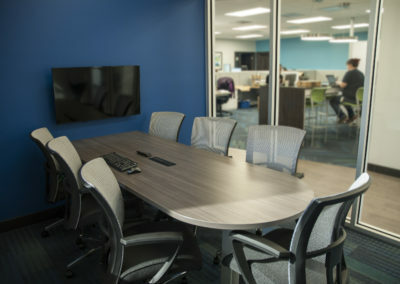 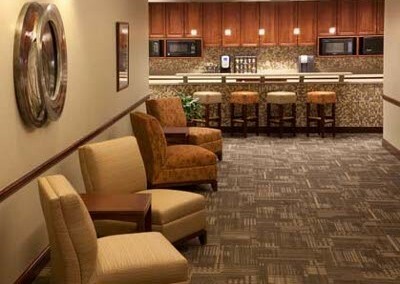 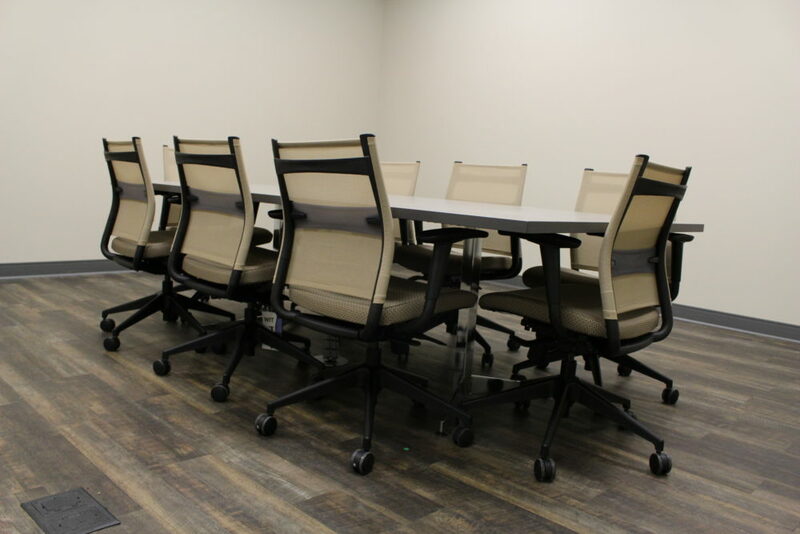 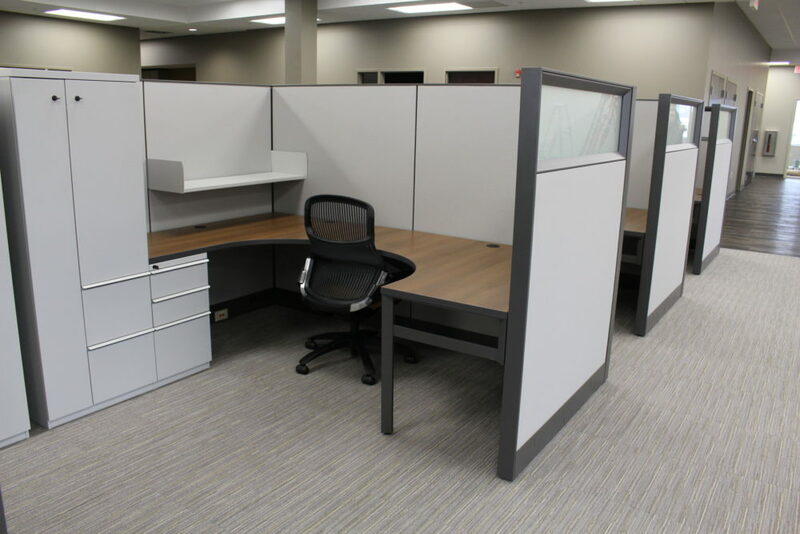 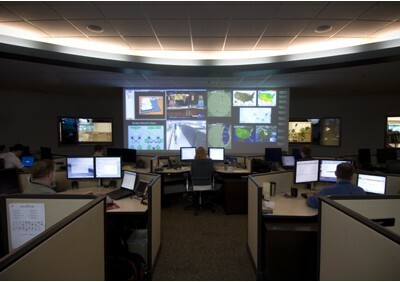 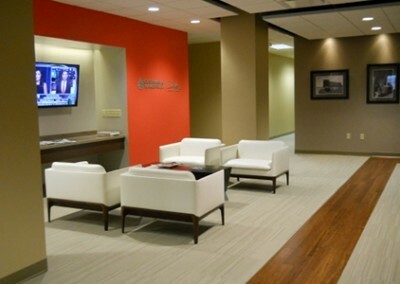 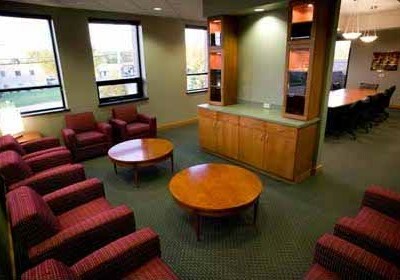 Our Creative team installed furniture in this new facility for private offices, workstations, conference rooms, and break rooms within a very tight timeframe. 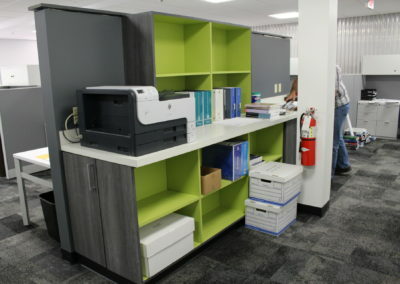 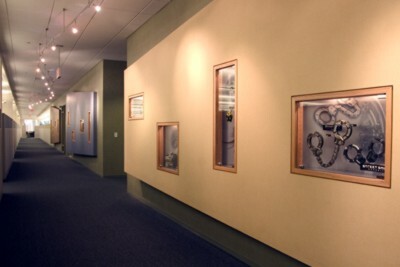 An unusual consideration to this project was that the company allows their employees to bring their dogs into work which informed the ultimate space planning and finishes chosen. 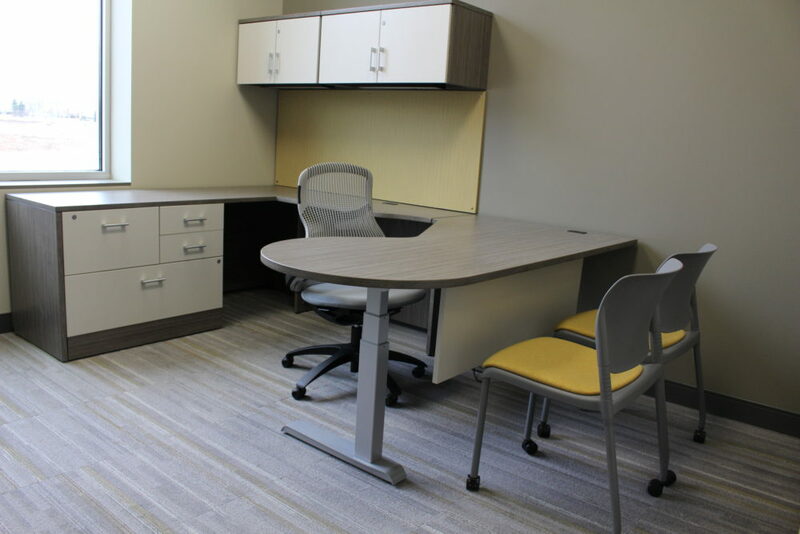 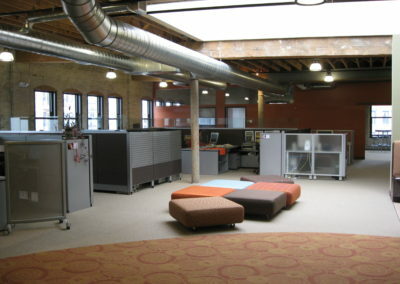 With several designs for the private offices to accommodate the varying workstyles of the staff, our team was able to keep a cohesive, rustic and industrial look throughout the building by incorporating products from Knoll, Global and SitOnIt.